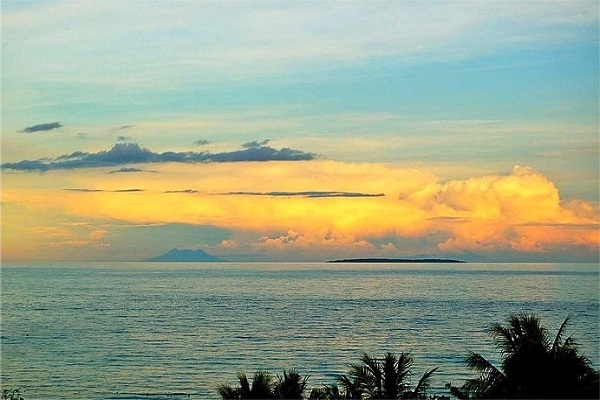 The Amarela Boutique Resort is a villa situated along the longest stretch of white sandy beach with a magnificent view of the blue waters beyond and the neighboring islands. Many coconut trees on the beachfront add beauty to the area as well as give much needed shade to the bathers. 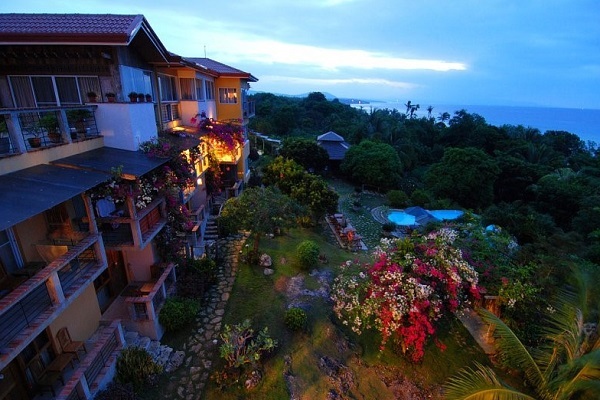 The villa is a two-storey building built on top of a gentle slope near the shore and overlooking the Mindanao Sea. It was opened last May 2006 and showcases Bohol’s rich cultural and artistic heritage with its antique massive wooden doors and furniture, old hardwood floors, handcrafted lattice, artifacts, and books. The big yellow villa also displays outstanding local sculpture, basketry and paintings. These antiques are only a part of a vast collection. Many are still in use like the cabinets, drawers, desks, chairs, lantays, tables, and lamparillas (small lamps). These paintings, antiques and books are not only to be looked at, as in a museum or gallery, yet can be handled, used and enjoyed. That spells the difference! The owners have successfully created the ambiance of a true home resort where warmth, beauty and tradition are blended as one. 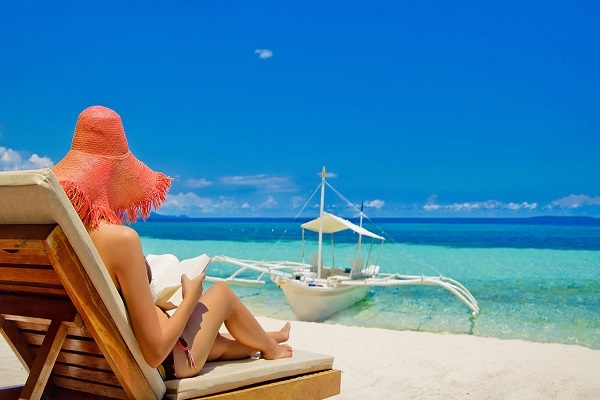 Click Now for Bohol Travel Deals available today! 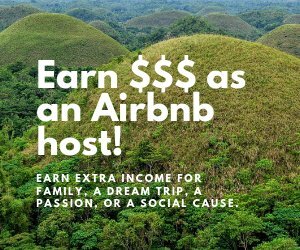 Search for Hotel and Tour Packages! For a limited time only! The roof of the villa is made entirely of clay tiles from Alicante, Spain. Portions of walls are made of glass which allows the sunlight to enter and flood the interiors with a golden glow. 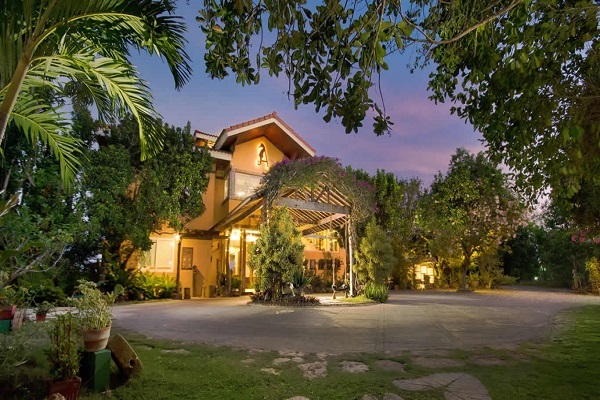 Taken as a whole, the villa is a mixture of Mediterranean and Boholano architecture. Amarela has 24 rooms and suites which are cozy, spacious, elegant and equipped with modern conveniences like air-conditioning, satellite television and internet access. 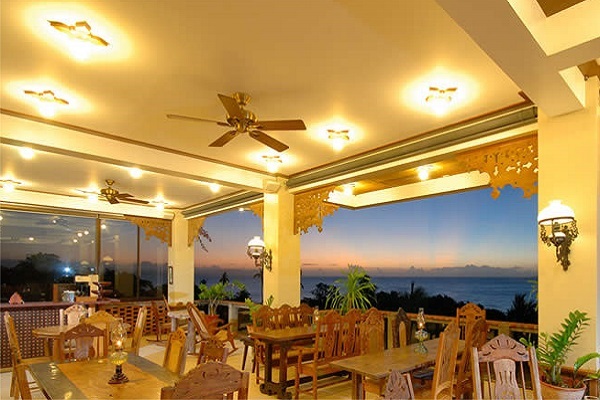 The Resort offers Continental, Filipino, and English cuisine. The food is served by well trained, warm and gracious staff. Thru stone paths, amidst trees and Bermuda grass, a swimming pool is provided. 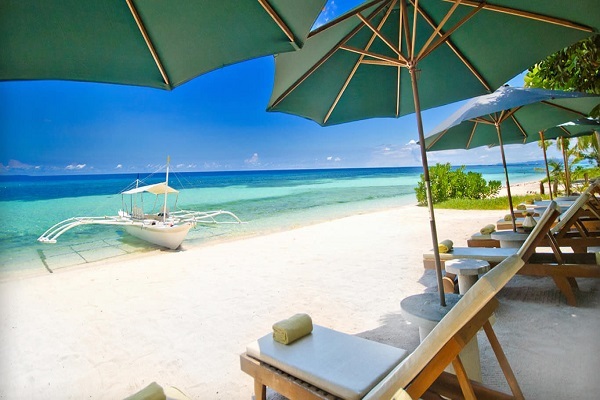 The Amarela Boutique Resort is located at Libaong Beach, Barangay Libaong, Panglao, Bohol, Visayas 6340, Philippines. 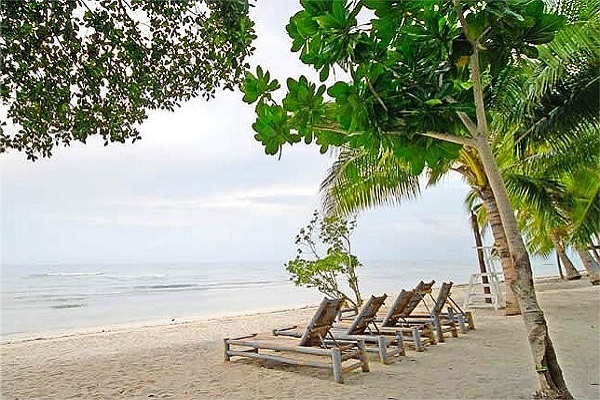 Panglao, the “tourist spot” of the province, is divided into 2 municipalities, Panglao and Dauis and connected to mainland Bohol by 2 bridges. The Suite Room has a king-sized bed with cotton bed covers and linens. Other facilities are sofa, TV, round table with chairs, glass walls, draperies, overhead fan and night lamp. The Suite Room opens to a balcony with a beautiful view of the sea. Amarela Boutique Resort is not just another resort. 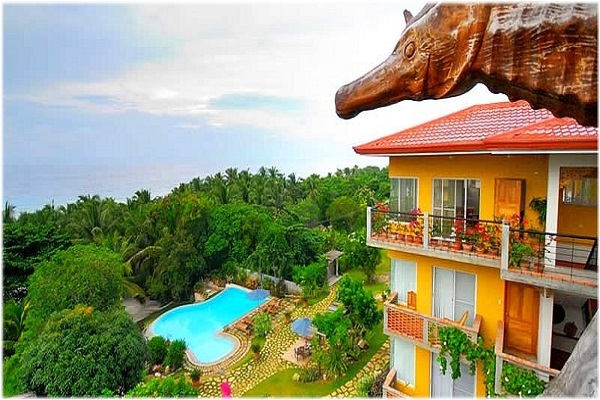 The place itself is a showcase of Boholano’s traditional arts and crafts and much more. It is a home, happily imbedded in the past yet vibrantly living the present. It is, so to speak, hitting two birds with one stone, even more so. You get to visit, enjoy the sites, and bask in the warmth and hospitality of the place and at the same time delve into the Boholano’s rich cultural heritage and live it! Living in the villa is truly an epitome of glorious living!